These are provided by Devon Norse. They are cooked at Bridestowe School and transported for serving . All pupils in Keystage 1 and Foundation Stage are entitled to free school meal. 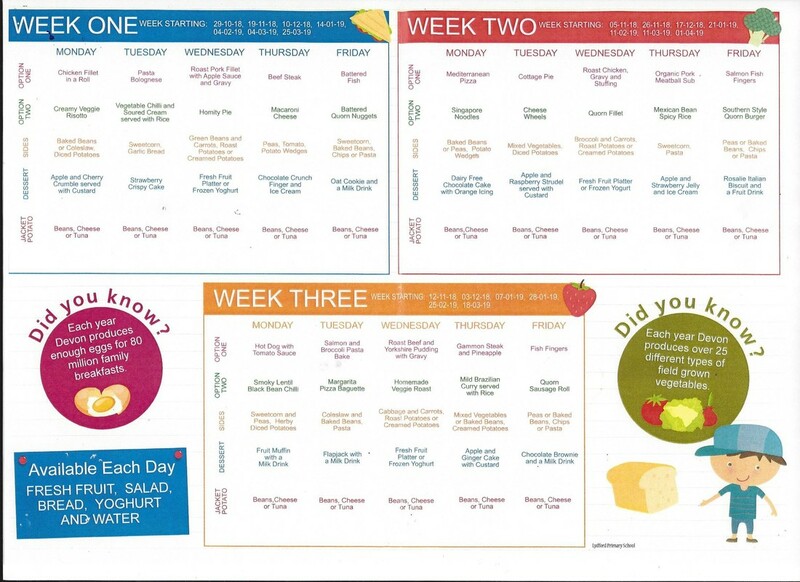 Menus are made available to parents to make weekly selections, copies on the link above. Children are also able to bring packed lunches into school but this must not include sweets or fizzy, sugary drinks. Children who get any of the above benefits in their own right (ie they get benefit payments directly, instead of through a parent or guardian) can also get free school meals. Children under the compulsory school age who are in full time education may also be able to get free school meals.